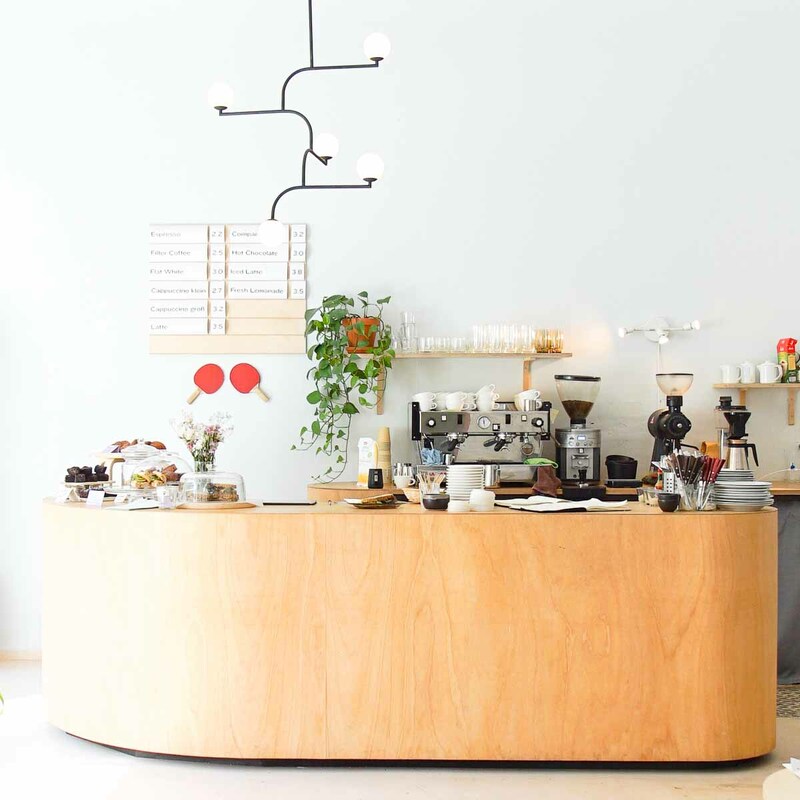 At the café The Future Breakfast on Böhmischen Straße 46, Australian-born Katie James and German co-owner Florian Tränkner are reinventing international breakfast favourites in entirely novel ways. 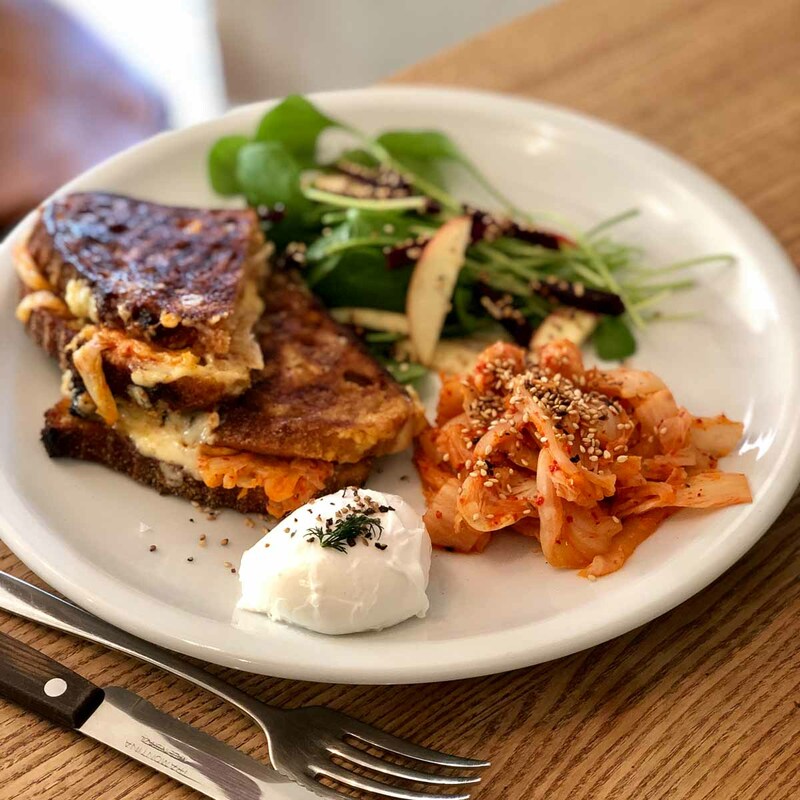 For just over a year, they’ve been serving surprising interpretations of popular breakfast dishes in the café’s friendly interiors – with plenty of fun to go around. 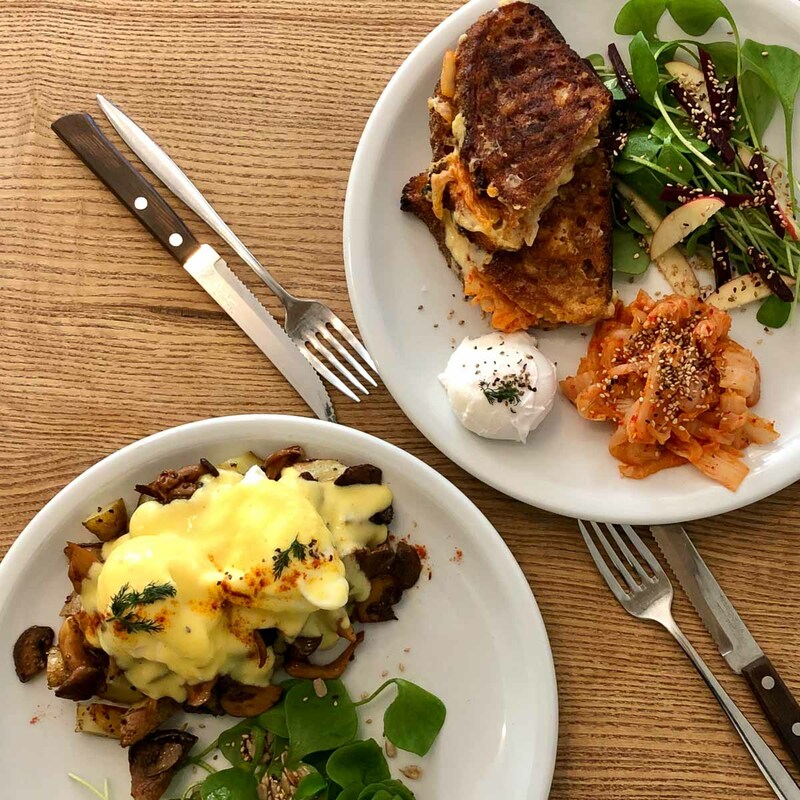 The eggs benedict, for example, arrive with their usual poached eggs, sourdough bread and sauce hollandaise, but are combined with oven-baked potatoes and chipotle-marinated mushrooms, and really shine when measured up against its flood of competitors. 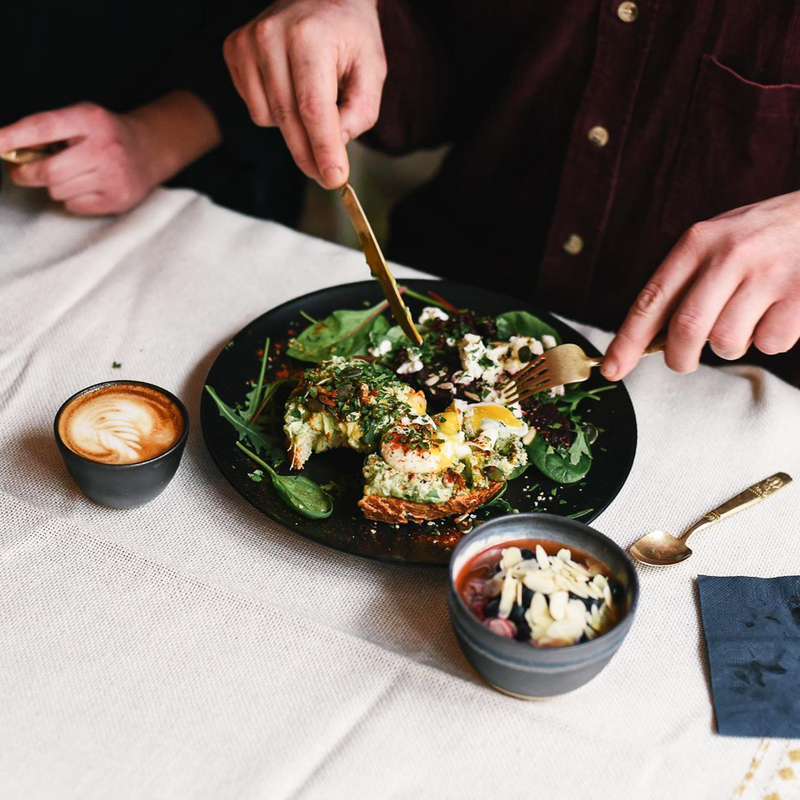 The scrambled eggs, prepared with garlic and cheese, arrive on sourdough bread with green jalapeno chimichurri; the granola is made of buckwheat with quark, cardamom and poached pear; the vegan French toast is topped with coconut yoghurt, maple syrup and blueberry sorbet. All eight or so daily dishes are served from the morning to the late afternoon. The menu changes seasonally, since regional and organic are keywords at The Future Breakfast. 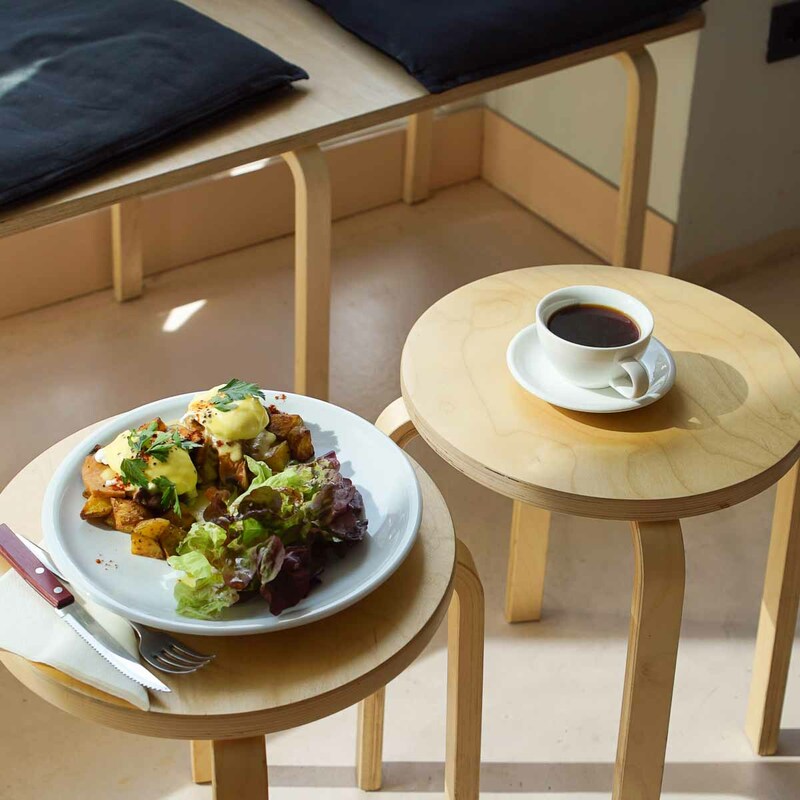 But a café wouldn’t be a café without cake: next to coffee from The Barn and a selection of homemade pastries, vegan and gluten-free goodies are also offered. In the coming summer, homemade long drinks and cocktails will also be mixed, which are foreseeably going to be a hit in the outdoor area just in front of the café – like breakfast is now. Don’t forget to make a reservation!